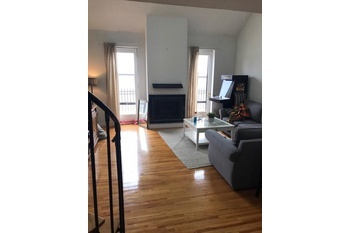 Hoboken loft style 1 bedroom-1 bath in Elevator Bldg. 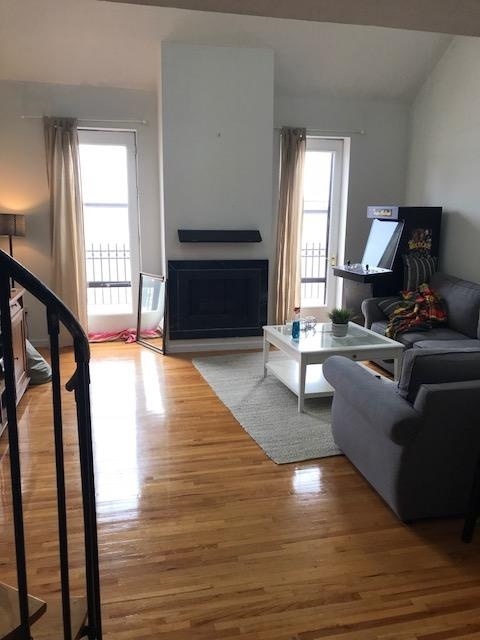 on 8th & Jefferson with 1 parking spot included and Big Terrace with Views....kitchen with dishwasher...central air....25 foot ceilings with skylights.....big living room with fireplace, walk out onto your big terrace.....spiral staircase up to big bedroom with big closets. Gym and laundry in the building. Private storage in basement.